Chancellor's Blog: Happy Thanksgiving to all! As I look ahead to our Thanksgiving celebration this week, I am mindful of all we have to be thankful for here at UIS. I am personally thankful for the exceptional faculty and staff who make this university such a wonderful place to learn, work and grow. I'm equally thankful for our hard working and talented students, especially the many who provide such thoughtful leadership for our many student organizations. 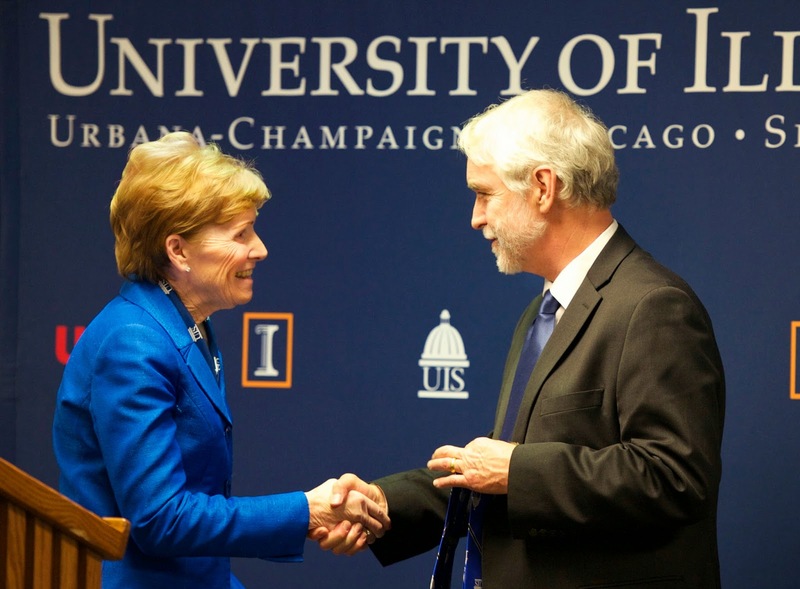 And at this particular moment in our history, I'm thankful for the soon-to-be new President of the University of Illinois, Dr, Tim Killeen. Dr. Killeen was introduced to our campus just a few days ago and I'm looking forward to our work together.